Sudanese Adversity of Politics Goes Along the Rough Way to Torture! The Sudanese Adversity of Politics Goes the Rough Way! The Sudanese adversity is all in politics, although it develops into other adversities in the Sudanese society. Cultural, economical and social life, all become infected by bad political practices in Sudan. The Sudanese people live in adversity every day. hoa-politicalscene.com/sudanese-adversity.html: Sudanese Adversity: الشدائد السياسية السودانية. Khalid Mohammed Osman's political sayings in English 1. أقوال سياسية لخالد محمد عثمان بالانجليزية. It is clear that the Sudanese political adversity has been planned by civil and military autocrats. The Sudanese people have experienced it from generation to generation, over the years. So, the political adversity, which causes all of the other adversities in the public life goes through a rough way in Sudan. The rough way of the Sudanese political adversity leads to unbearable social situations in the Sudan. The people have been tortured from decade to decade by such kind of political adversity. The torture continues, since the independence from England in 1956. There is introduction to this and another introduction to a series of articles about this topic, by different themes. 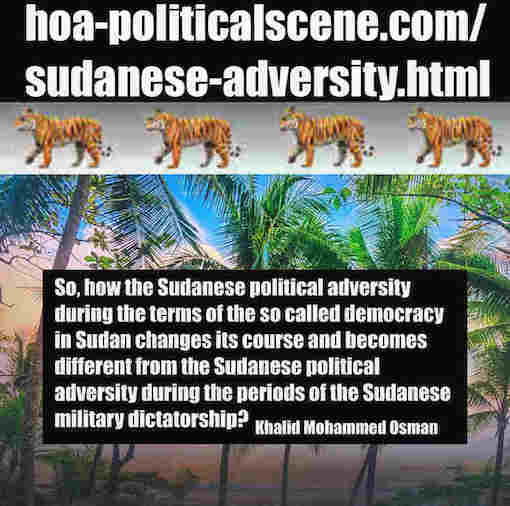 About Adding the Term "Politics" to Adversity in the Sudanese Context! When I speak about adversity, I never take this term by quantity to investigate a situation, or something by dividing one quantity by another to reach a quotient, or by other words to get a degree or amount of a specified quality, or characteristic. I mean I take it to get a quality of something, but not a quantity. And when it is connected to politics, in the context of the Sudanese example of policy, it is fair enough to add politics to it. Such terms are exposed to me in a way that any good brain could think of to enrich any single term by adding more values to it. This is the purpose of creative writing, where the invention of new writing styles is possible. Words positioning worth this invention. So, what's the Sudanese adversity of politics? hoa-politicalscene.com/sudanese-adversity.html: Sudanese Adversity: المحنة السياسية السودانية. Khalid Mohammed Osman's political sayings in English 2. أقوال سياسية لخالد محمد عثمان بالانجليزية. The Sudanese political adversity diverts and diversifies in every decade, since the independence of the country from England in 1956. For example, it diversifies during the periods of the Sudanese dictatorial regimes in a way that changes its course and diverts it from the way it diversifies during the periods of the Sudanese sectarian parties. Don't you think that's amazing? So, how the Sudanese adversity of politics during the terms of the so called democracy in Sudan changes its course and becomes different from the Sudanese political adversity during the periods of the Sudanese military dictatorship? This is what you are going to read on this page. But, before continuing with this controversial issue to explore it, there's something to know about this article and how long it is, where it starts and where it ends. There's an intro for this in the following section. 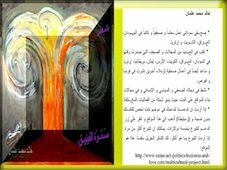 The Sudanese adversity of politics, or the Sudanese political adversity comes in a series of political articles. It comes this way, because there are many political problems in Sudan, through which the Sudanese adversity appears so clear. The Sudanese Adversity is episode 9 in the series. It is a continuation to episode 8 at Sudanese Advantages of politics, with the Arabic version of it at Sudanese Political Advantages. The connection of the political adversity in Sudan with other political problems is in one section on this page below. Intro to Index 9, Episode 9: Sudanese Adversity! hoa-politicalscene.com/sudanese-adversity.html: Sudanese Adversity: المحن السياسية السودانية. 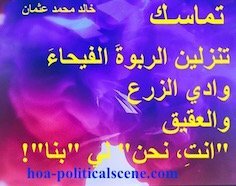 Khalid Mohammed Osman's political sayings in Arabic language. 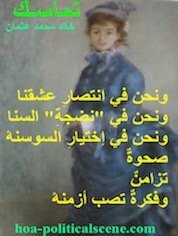 أقوال سياسية لخالد محمد عثمان. How the Sudanese Adversity of Politics Tortures the People? How could such adversity torture all of the Sudanese people? Going further to get the sense of any connection between adversity and torture, how could any adversity torture anybody, at all? Adversity hasn't any hands to use any tools to torture anybody! The answer is simple. This is a personification. There is a cause of any adversity. When we get to whom, or what is the cause of adversity, we see that there are sources, or elements that has the power to be a cause... in this context, as we speak about adversity. So, wether the cause is an element such as nature (phenomena), or a source as human, it identifies a cause(r), or a doer. In this case the cause is a human. But, not only any human. It is the human in power. When the human in power misuses the power, the adversity is inevitable. When he uses it's tools... in the Sudanese case for example the security elements against the people who protest because they live in adversity, it becomes a torture. The totalitarian regime of Omer al Basher always uses the security agents to bomb the Sudanese people who participate in the Sudanese intifada. They kill the people during the ongoing Sudanese protests. They detain the people of the Sudanese revolution. 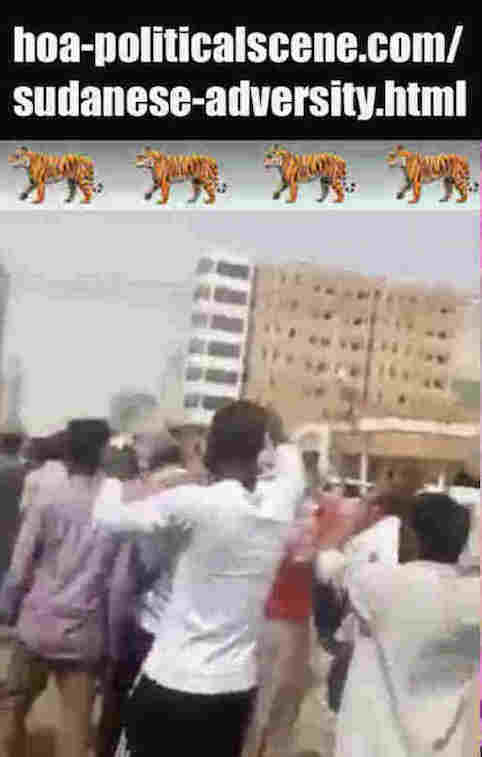 They torture the Sudanese rising people who demand the regime of the National Congress Party to get down, because of all the adversities it makes in Sudan. They torture them when they caught them from the crowds of the Sudanese uprising in many hidden centers of torture. Index 9, Episode 9: Sudanese Adversity of Civilian Dictatorship! In Sudan, the humans in power are divided into two categories: civilian politicians and military dictators. These two different powers have established two different kinds of governments: civilian governments and dictatorial governments. 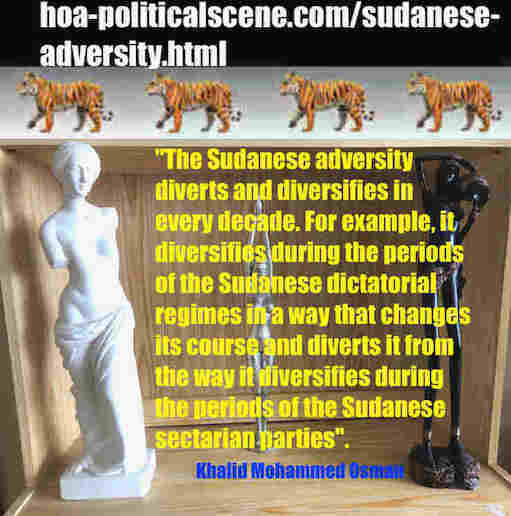 As we look again into the specifics of the term "adversity", we see that the dictatorial governments are so close to be the cause of adversity in the Sudanese political scene, while the civilian governments are far away from being the cause. In reality, the paradox is that, the civilian governments in the political periods that were called democracy in Sudan, have all caused the adversity in Sudan. So, the adversity becomes a tool in their hands to use and even play with it to torture the Sudanese people. In the rhetoric language universe, such terms as adversity become as such as doers. Again, this is personification. Thus, the adversity tortures the Sudanese people, when the people in power use all the power they have to get wealth and ignore the development of the country, or do false development to deceive the people, who become exposed to bad economical situations. The bad economical situations they create by focusing on their interests, engaging in robbing the national treasury and decieving the people by religious beliefs that they are in the leadership of the ruling parties are not less than "prophets", create the Sudanese adversity. hoa-politicalscene.com/sudanese-adversity.html: Sudanese Adversity: الصعاب السياسية السودانية. Revolutionary Ideas. نمو الأفكار الثورية، الثورة السودانية. Sudanese uprising, February 2019. Index 9, Episode 9: Sudanese Adversity of Military Dictatorship! The dictatorial regimes in Sudan are not different. People actually know that they are the worst to create adversity in Sudan. They do exactly as the civilians in power do and that's to get involved in getting more interests than the civilian governments do. They concentrate in robbing the national treasury, distribute it to their allies and other opportunists and even to some leaders in the foreign governments in the surrounding. During the period they engage in getting all of the interests of the land, the people become poor and they find themselves exposed to many kinds of adversities. The Appearance of the Sudanese Adversity Due to Other Problems! First, the Sudanese political parties in the power have created political mentality absenteeism by the use of religion in forming political parties and in politics, since the independence day from Britain in 1956, regardless to the fact of the Sudanese composition of many beliefs. This is the first phase of the Sudanese political adversity. They know that the Sudanese people are peaceful, simple, tolerant and pay much of attention to religion, even to consider some leaders of these political parties as favoured by Allah, so they should serve them. 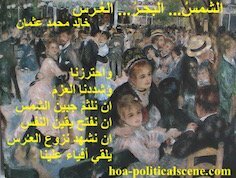 The Sudanese sectarian parties have created this illusion, which goes as superstitions to use the politics of myth for their benefits. 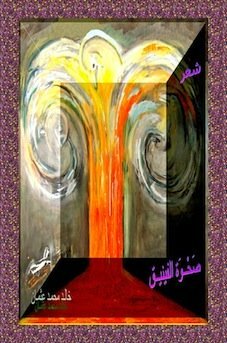 The invisibility of Sudanese mentalities, or as I prefer to say the mental absenteeism of the Sudanese political mentalities that has been planned to work for the interests of the civilian governments is second phase of the Sudanese adversity. Not only that, but it is really the cause of the persistent of the Sudanese misery until today. The misery has a phase in the Sudanese political adversity, which is by now clear to everyone. Is there anyone to thank me for the efforts I am, the Sudanese journalist Khalid Mohammed Osman has been making since the time of Jafar al Numeri to make this clear? HAHAHAH, I don't need that, of course, as long as I am still fighting in this political front to rescue the Sudanese people, by enlightening them and as long as my conscience is alive. Second, the Sudanese sectarian parties have all paved the way for the Muslim Brothers (the Sudanese wing of the Muslim Brothers in the Middle East) to function, even after this party has proved to be not national and political fraud and scam, when the party participated in al Numeri's dictatorial regime, and implemented the Sharia Laws. The Sharia Laws are the third phase of the Sudanese adversity. They also call for not banning any political party in Sudan in recent days, although they know that the National Islamic Front (NIF) has conducted the military coup in 1989, resolved itself, divided into two parties, one as the National Congress Party and the second as the People's Conference Party of Sudan. This is the fourth phase of the SUDANESE ADVERSITY. Continue at episode 10, Sudanese Advices. Close that page to get here to continue reading. 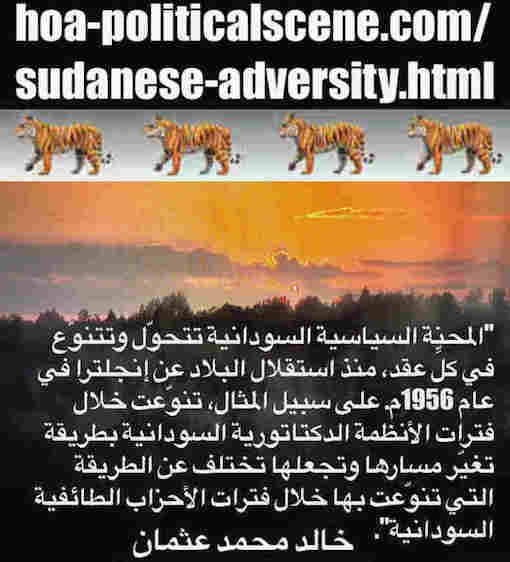 If you found the SUDANESE ADVERSITY page intriguing, use the Comment C2 Entries form below to write comments on Sudan, or actually to write about Sudan in general. Your political comments add more values to the Sudan online platform. Thanks. In addition to the Sudanese political adversity, you might also be interested in Sudanese documentaries in movies. You can find that in documentary film at TVCinemaApp.com. Comments on Sudanese Adversity, or any commentary on Sudanese online appear at the section of the page below the comments form and above this paragraph.